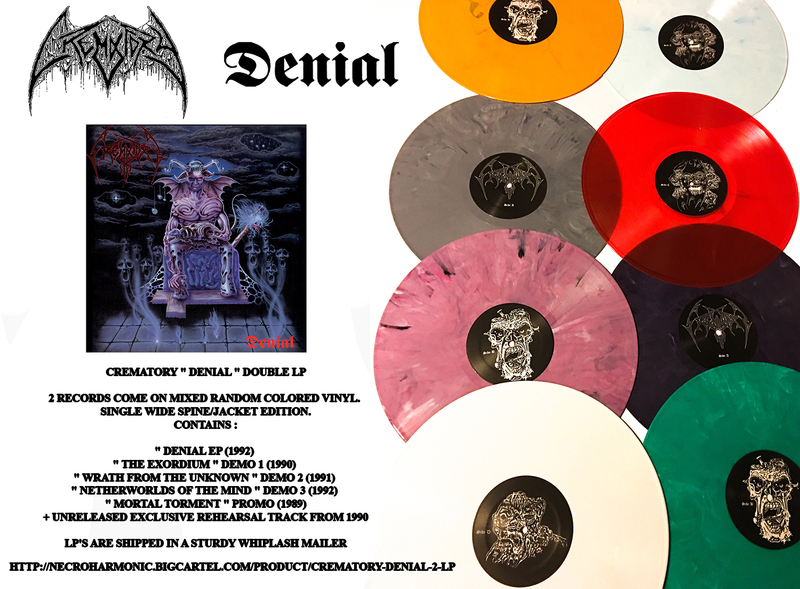 Repress of ” Denial ” 2 LP Vinyl record available now in a limited amount! 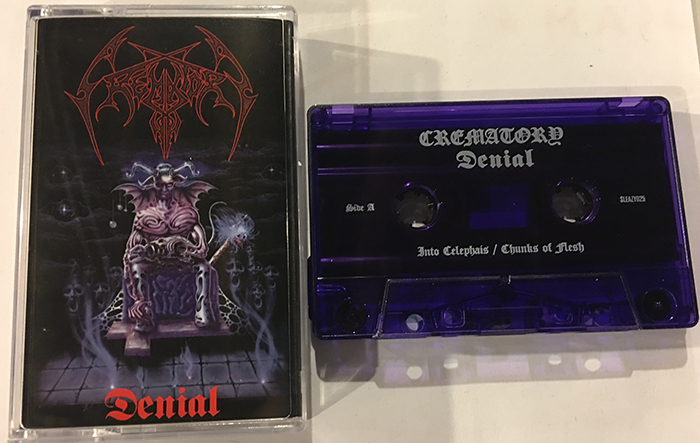 Crematory began it’s story in Spring / Summer 1989 when the first line-up began rehearsing which led to the release of the“Mortal Torment” Demo, with one song : Mortal Torment (Music: Mikael L.) Autumn 1989 saw the addition of a second guitarist – Urban Skytt who brought with him the idea that Death Metal should be played with extremely downtuned guitars. 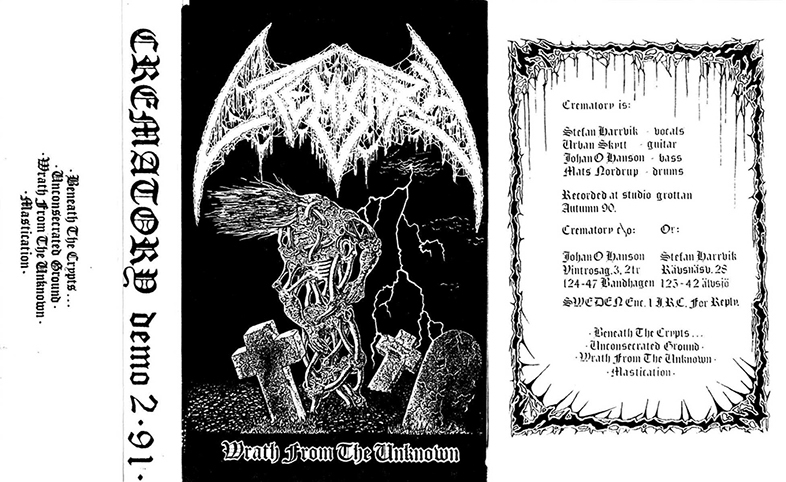 Crematory, now with two guitarists began writing new songs, a far bit more brutal than the song “Mortal Torment”. Christofer Johansson of Therion appeared on vocals on this recording. 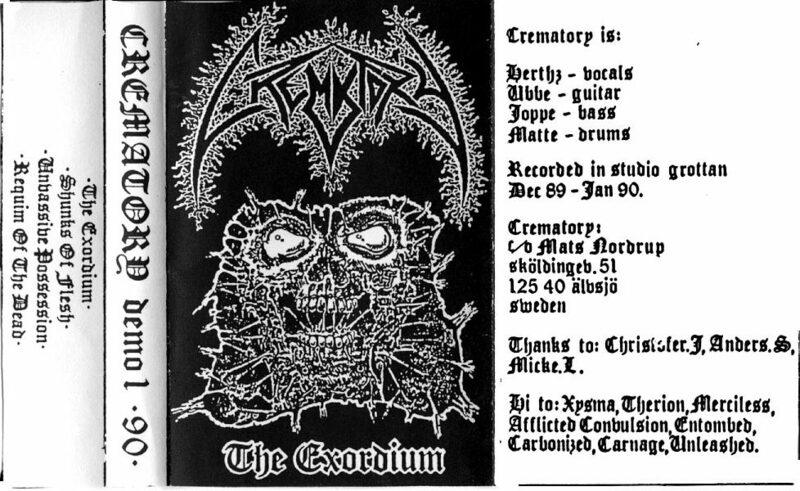 Crematory was one of the first death metal bands in Sweden. 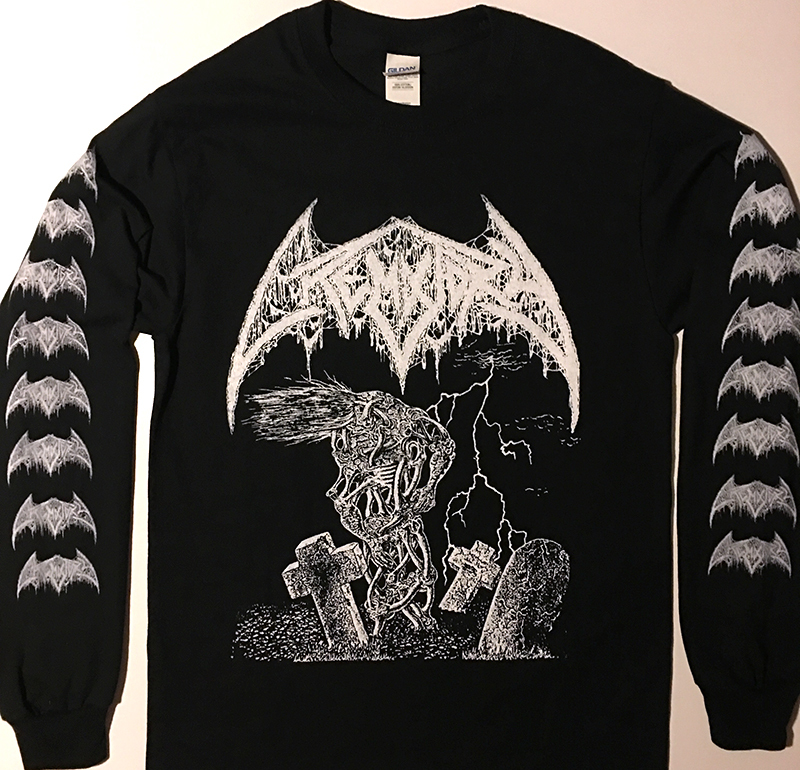 The band started out in the spring / summer of 1989 and they soon recorded a one track demo called “Mortal Torment” which was actually a song from a previous band called Afflicted Convulsion (later only Afflicted). The two forming members Mats and Joppe got together through Christofer Johnsson of Therion. 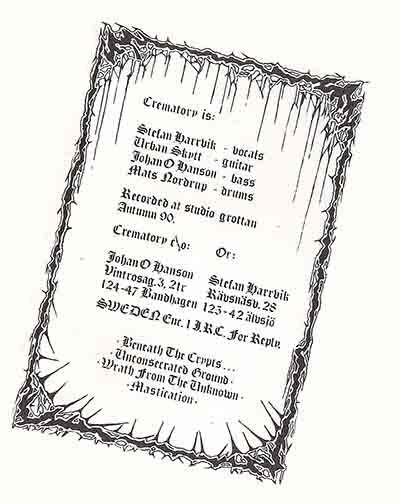 Mats had helped out Therion before with their studio sessions for the “Paroxysmal Holocaust” demo. Joppe had also played with Therion before when they were still known as Megatherion. Christofer helped them out with some vocals on the demo. In the autumn of 1989 Urban Skytt joined as a second guitarist. The band now started writing more brutal material than before. 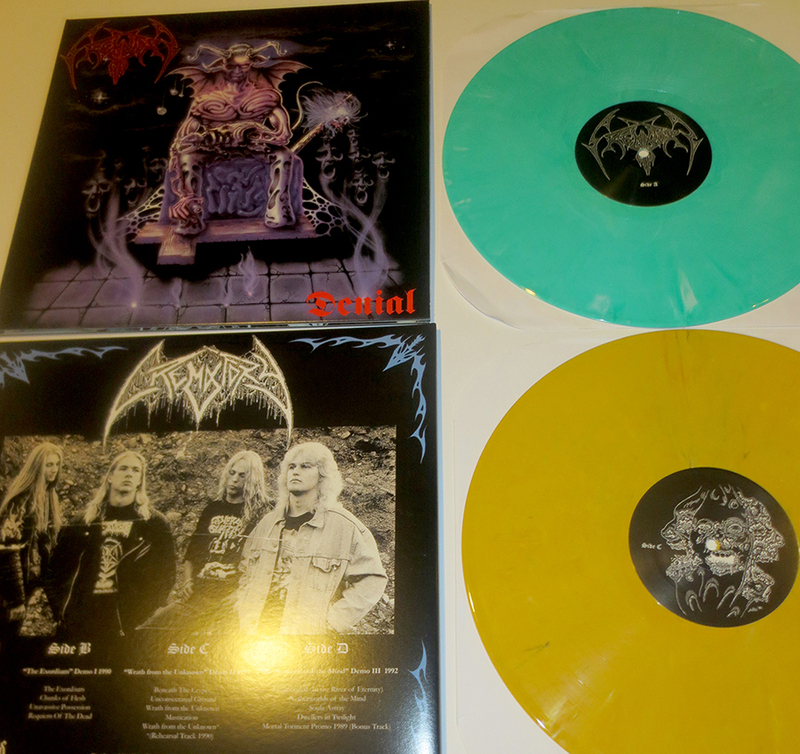 In the autumn of 1989 they also played their first live show with Entombed and Carnage among others. 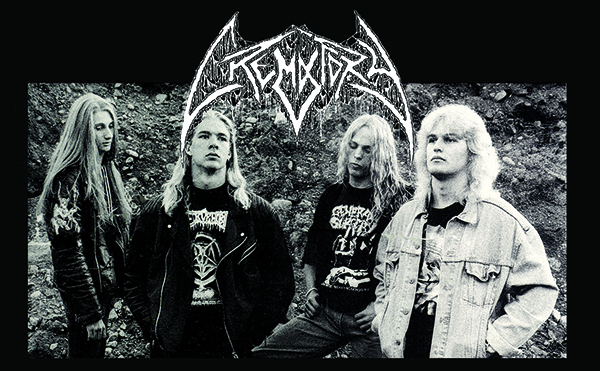 Mikael left the band since he didn’t like the new musical direction towards brutality and in December they entered the studio to record the first official demo called “The Exordium” with only one guitarist. 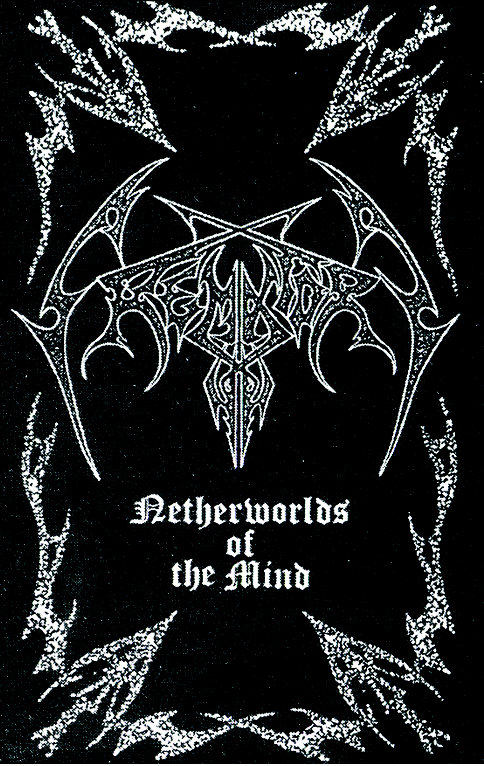 The first official release from Swedish heavyweights Crematory is this four-song demo tape entitled “The Exordium”. 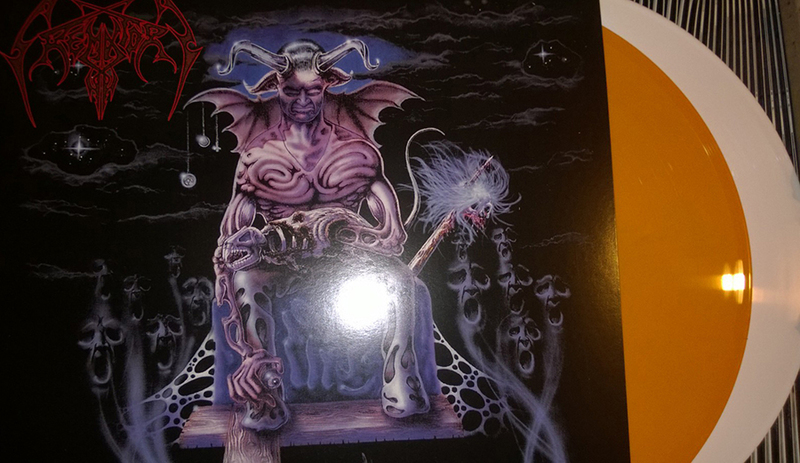 Recorded in 1990, it was at a time when the Swedish death metal sound was only beginning to take form and nobody was blatantly copying each other’s style yet. Though, what’s interesting about this recording is that it doesn’t sound very Swedish at all, even by later-day standards. 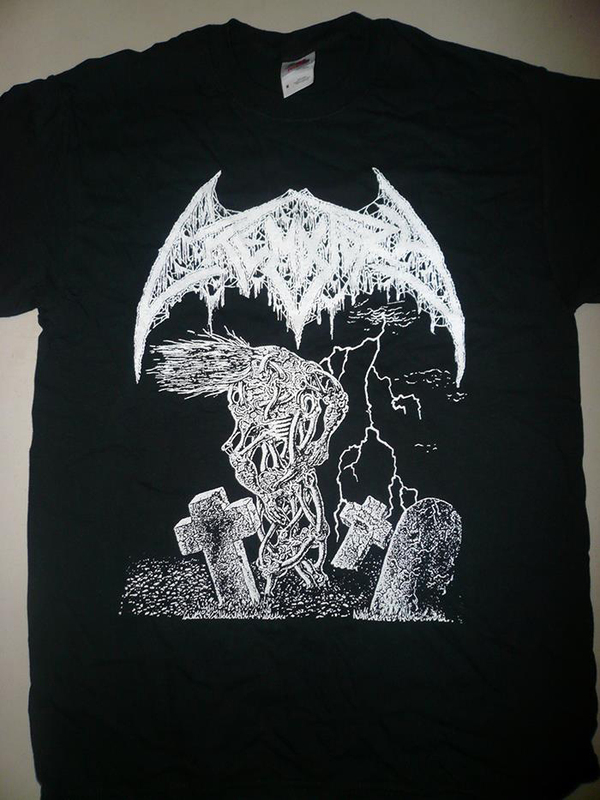 The vocals, riffs, guitar tone and song structures in general are taken to further extremes than those of other, more prominent local groups like Entombed and Dismember. 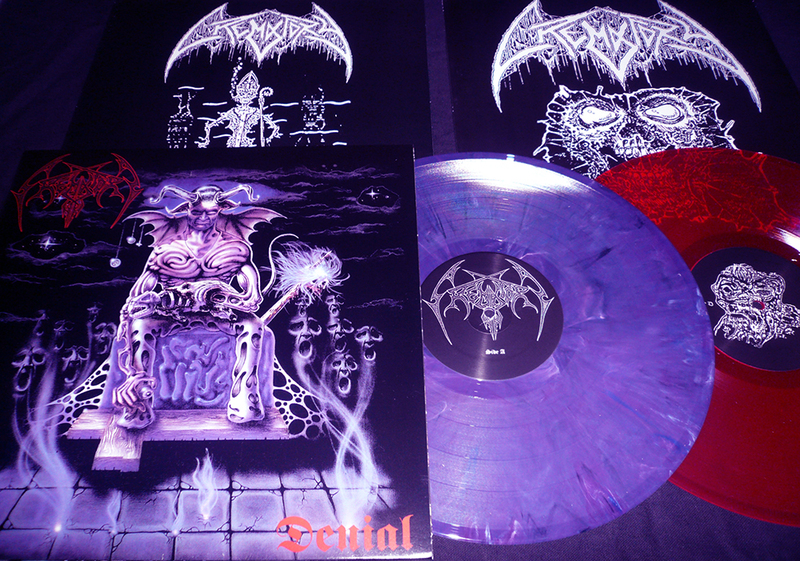 Crematory have put together four of the sickest and darkest tracks of tuned down brutality. “Mastication” . 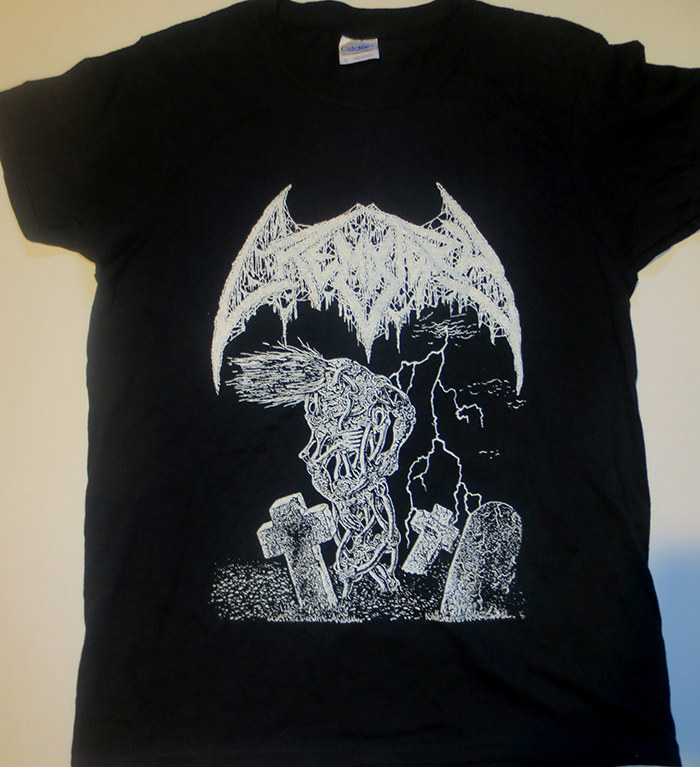 That particular song was also used on the death metal compilation “Pantalgia” on M.B.R. Records, where it sounds even heavier than on cassette.